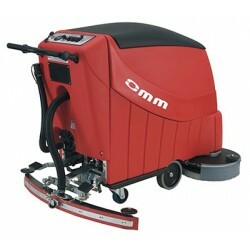 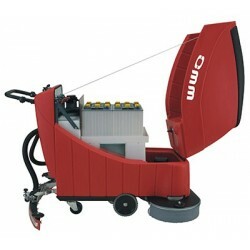 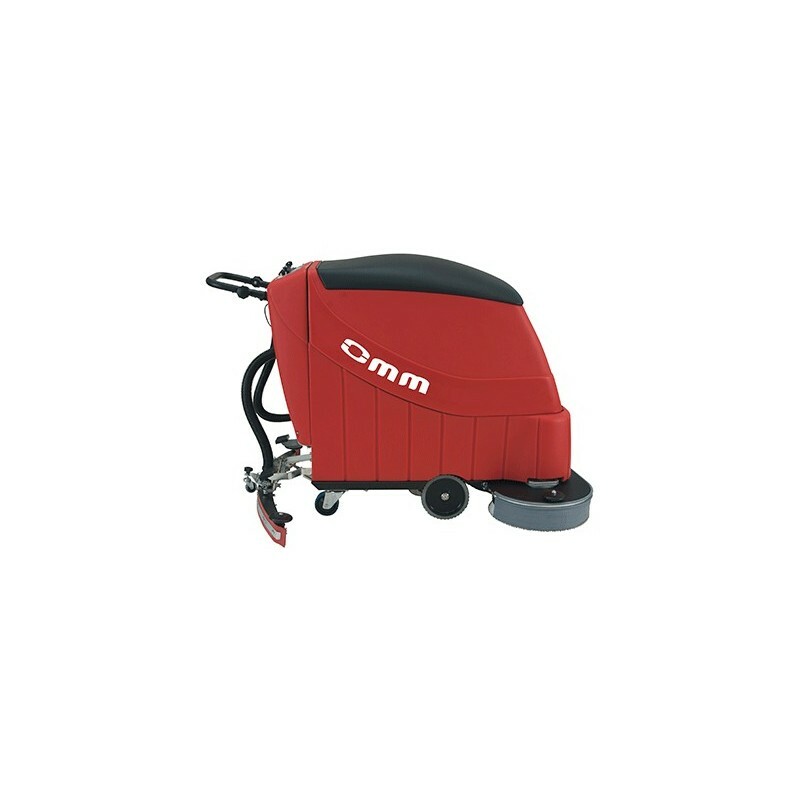 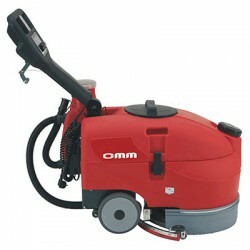 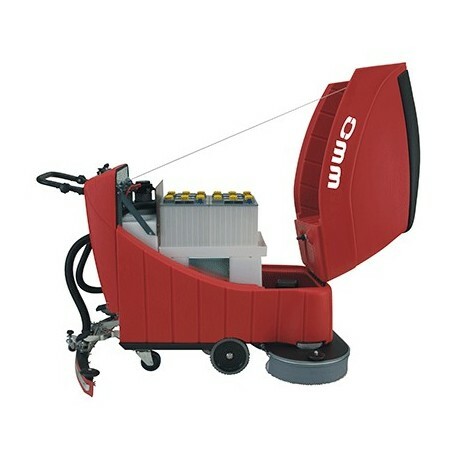 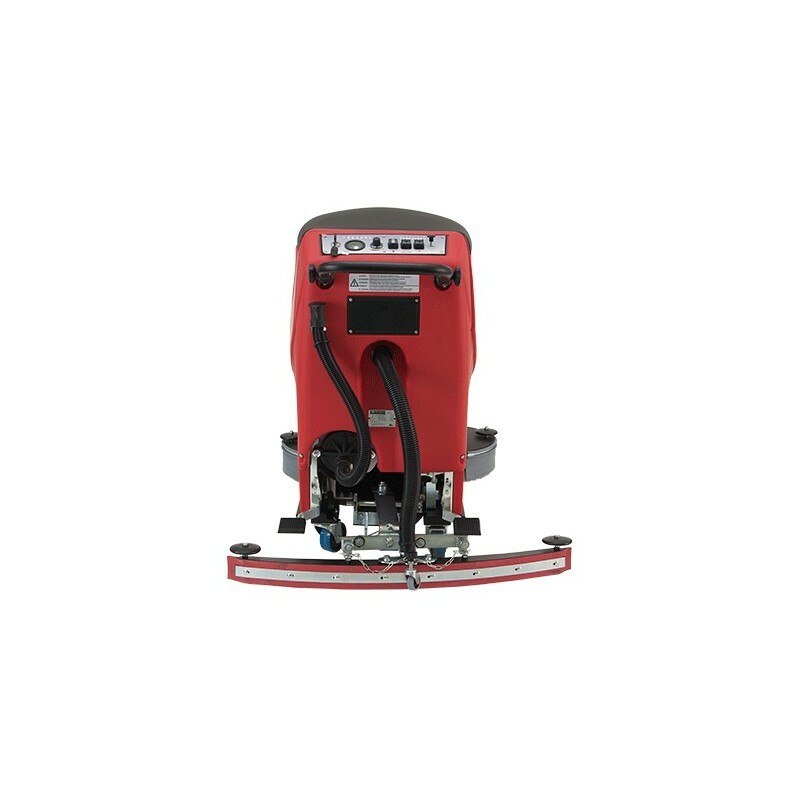 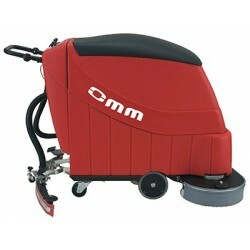 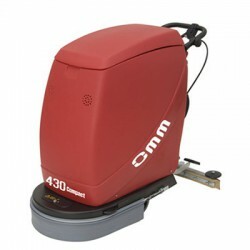 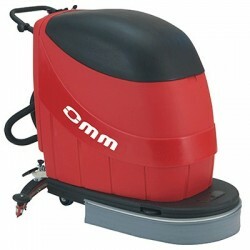 The OMM RUGBY-700 TRACCIÃN battery-powered industrial scrubber-dryer is the most suitable for industrial cleaning in medium and large-sized surfaces, like shopping centres, schools, airports, casinos, or industrial units. 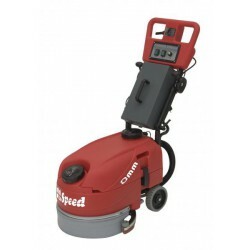 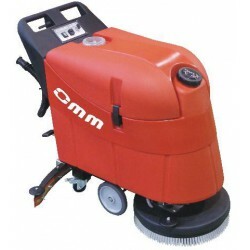 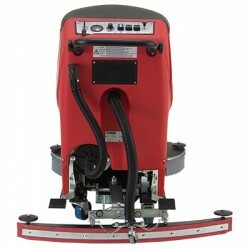 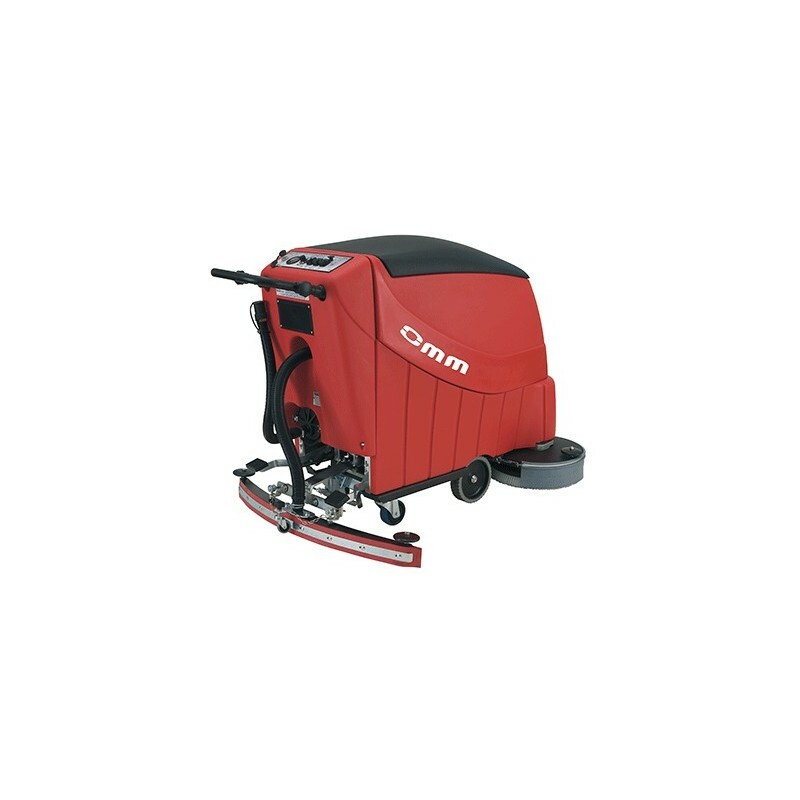 It has a big cleaning width, two 35-centimetre brushes, double brushes drive motor which makes it very powerful as well as pressure regulator, mechanic traction, and unbeatable vacuum power. 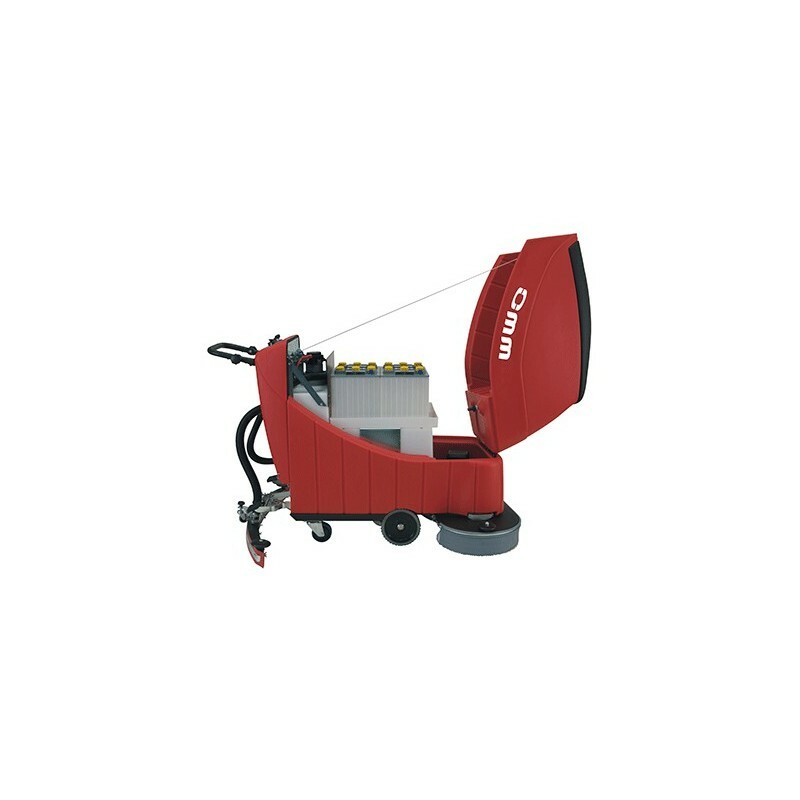 Thanks to its 80-litre tanks and its autonomy of 4 hours, this battery-powered industrial scrubber-dryer is ideal to clean large surfaces with corridors or limited access.